You are looking for a mid-sized SUV with a refined touch and industrial look. The car appeals to both young and older buyers. It&amp;amp;#039;s mainly directed towards families. 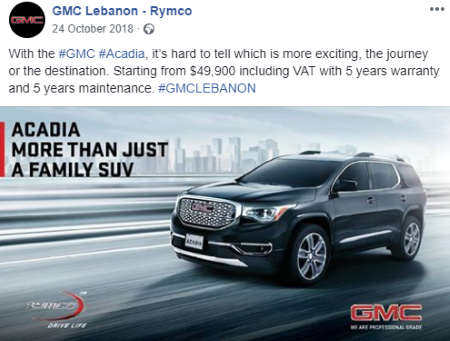 Acadia 2019 is considered as part of its second generation introduced for 2017. With a reasonable price starting $54,500, it delivers decent performance and has a solid interior. No. 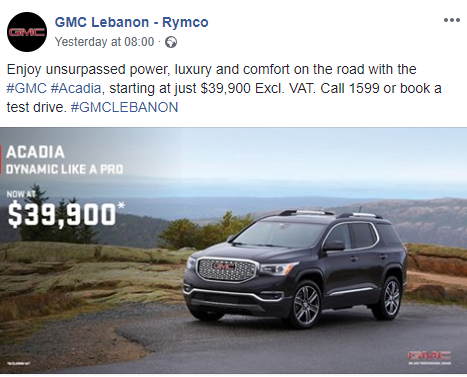 VAT and Registration are not included in the ad.